In his State of the Union, Jean-Claude Juncker, the president of the European Commission, made it clear the European Union has only 250 days left until the European elections in May 2019 to prove to citizens this Union is capable of delivering on expectations. Indeed, the populist wave in Europe is weakening further European integration, and a victory of less European minded parties could further undermine the stability of the Union. That’s why Juncker pleaded for a strengthening of the European borders and a reform of Europe's asylum system, as the wave of immigration has been one of the important tailwinds for populist politicians over the last few years. Juncker also urged a further deepening of the Economic and Monetary Union (EMU), while simultaneously championing a more global role for the euro. 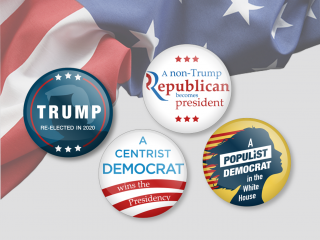 Again these goals necessitate a lot of political cohesion which doesn't really seem to be happening at the moment. Political tensions within Europe remain present, with the European Parliament voting to initiate the so-called Article 7 process against Hungary for violating some of the core European values. This process could lead to a country being stripped of its right to vote in the Council of the EU. While it is improbable it'll go that far; it shows the growing divisions within Europe. The new Italian government has also been on a confrontational path with the EU since the beginning of its mandate: first on immigration, and the next battlefield could be the budget. Fortunately, the latest declarations indicate that all deficit rules will be more or less respected. But even if the budget passes without too much fuss with the European Commission grudgingly approving (our scenario), the Italian government might harden its stance, e.g. on Eurozone reform, later, especially if the European elections strengthen its position. 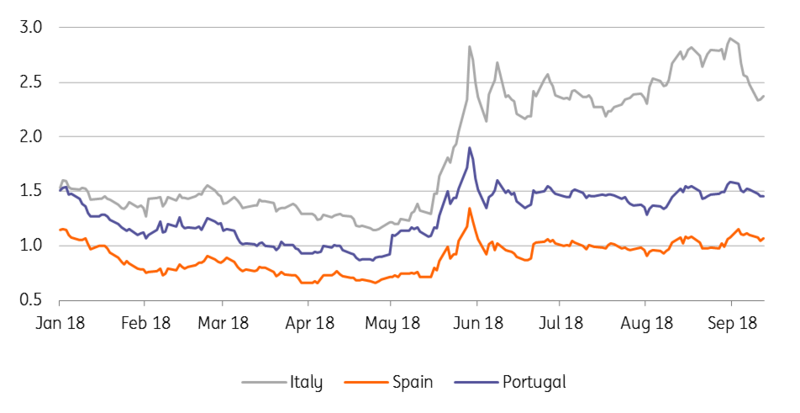 The Italian 10-year bond yield shot up from 1.6% in May to around 3.30% at the start of September, partially reflecting redenomination risk. Fitch’s recent change of the rating outlook to negative didn’t help either. Fortunately, the less combative sounds emanating from the Italian government recently led to a relief rally, though it seems too soon to sound the all clear signal. Meanwhile, the critical deadlines for a Brexit deal are also rapidly approaching. While the impact of a no deal is likely to be more harmful to the UK economy than to the EU, it would still inject an element of uncertainty and is likely to be felt more in countries with the strongest trade ties to the UK. While the withdrawal agreement shouldn't be the hardest nut to crack (as future trade relations between the UK and the EU are to be negotiated and ratified at a later stage), there are still some obstacles. For the EU, guarantees that the border between Northern Ireland and the Irish Republic remains open is a crucial point, while the divergence of views on the post-Brexit era within the UK majority could still set the scene for some cliff-hanger moments before the bill gets approved. That said, our base case remains that a no-deal situation is likely to be avoided, though October has already been abandoned as a deadline to reach an agreement and a special summit in November seems in the making. Meanwhile, economic data draws a rather unexciting picture of the Eurozone economy. The second quarter saw 0.4% quarter on quarter GDP growth, the same as in the first quarter which was held down by exceptional factors such as adverse weather and flu epidemics. So no acceleration, but at the same time, the Eurozone economy hasn’t suffered too much from the trade skirmishes, initiated by the Trump Administration. Where do we go from here? On a positive note, we should mention Jean-Claude Junker’s visit to Washington, which resulted in a cease-fire in trade hostilities, taking away some uncertainty for European companies. Nevertheless, the European Central Bank mentioned rising protectionism as one of the main risks to the economy in its introductory statement to the September press conference. If protectionist measures by the US hurt major trading partners, it would ultimately affect Eurozone exports too. 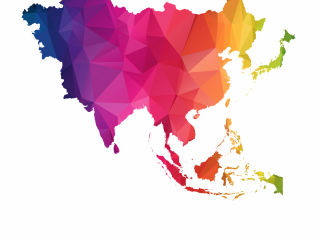 At the same time, the international economic environment has become less upbeat, with several emerging economies experiencing financial tensions, though this might be compensated to some extent by the still buoyant US economy. While in these circumstances it looks rather unlikely to see growth accelerating in the second half of the year, the underlying growth momentum remains strong enough to sustain the 0.4% QoQ pace for a little bit longer. Real disposable income is now growing close to 2%, while unemployment fell to 8.2% in July. Admittedly, consumption growth has been disappointing in the second quarter, but that was largely due to the significant increase in oil prices, sapping households’ purchasing power. It's unlikely that oil prices will see a similar surge in the coming quarters. On top of that, the German fiscal policy is becoming more expansionary, which should sustain consumption. Although sentiment indicators have fallen back from the extremely high levels seen earlier in the year, they remain at a level signalling sustained growth. 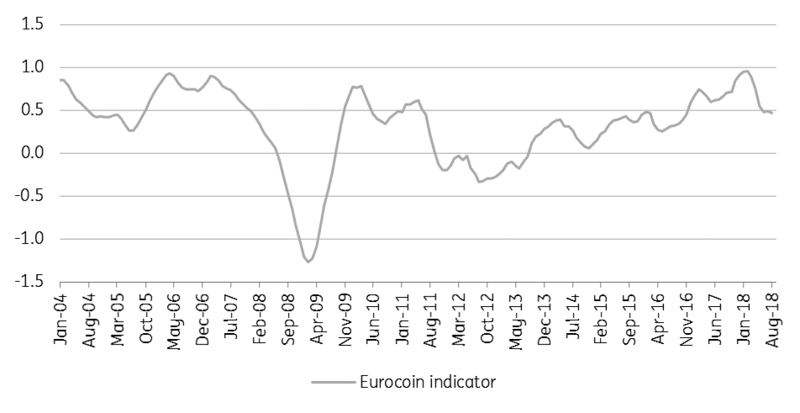 The Eurocoin growth indicator, a real-time gauge of GDP growth stood at 0.47% in August, after 0.49% in July. All in all, we expect 2.0% GDP growth this year. That said, 2019 and 2020 are likely to see some deceleration, which is not that unusual given the fact that the output gap has now all but closed. It has to be said that the industrial production figures for July were on the weak side, suggesting a weak start of the third quarter. The more forward-looking indicators like the credit impulse or the OECD leading indicator confirm that the growth pace is over the top. We anticipate a 1.7% expansion in 2019 and 1.5% in 2020. In seasonal terms, one could say that the expansion is now in late summer: the temperature still feels nice, but we know that the best is now behind us. Headline inflation at 2.0% in August is basically an oil story, as underlying inflation remains stuck at 1.0%. That said, growth in compensation per employee increased from 1.8% in the fourth quarter of 2017 to 2.0% in the first quarter of 2018, while growth in negotiated wages increased from 1.5% to 1.8% in the first quarter of 2018. So the trough in wage growth now looks behind us and the Phillips curve relationship, which still holds according to recent research by the IMF, is pointing to further upward wage pressure, which should ultimately also push core inflation higher. 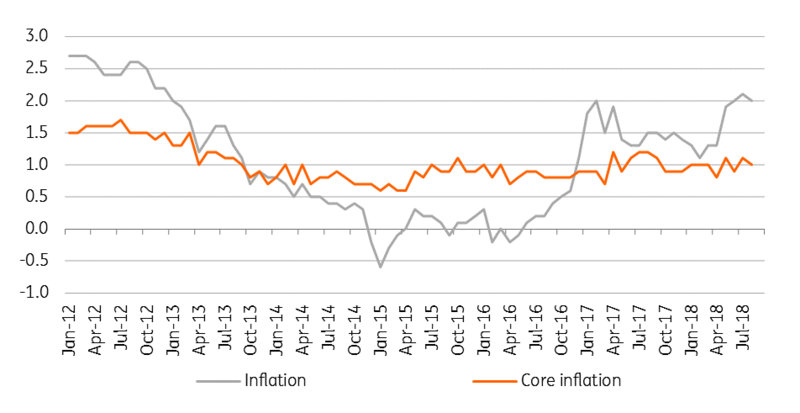 However, this is likely to be a very gradual process as inflation persistence in the Eurozone can be important, meaning that a period of low inflation has a tendency to keep a lid on future inflation. 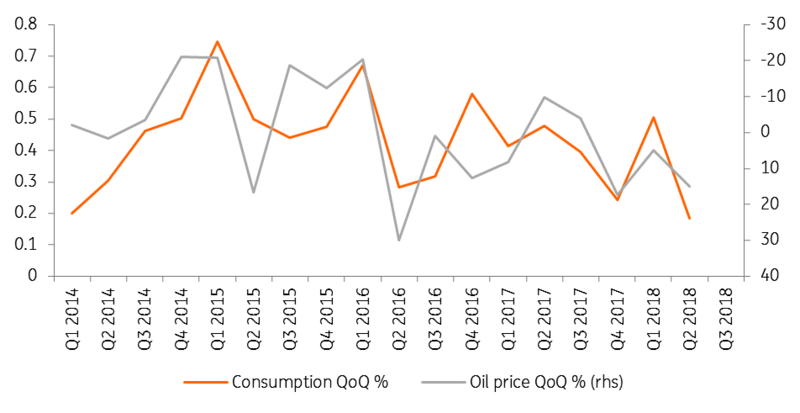 Oil prices are still likely to keep headline inflation around 2.0% in the coming months, but from the second quarter of 2019 onwards, this effect will gradually peter out. We now expect 1.7% headline inflation in 2018 and 1.6% in 2019. The ECB remains at ease with its exit strategy, stopping net asset purchases by the end of 2018 and starting hiking rates in the second half of 2019. While we see the deposit rate at 0% and the refi rate at 0.25% by the end of next year, this is largely a normalisation process. After that, the ECB will tread more cautiously in tightening monetary policy. Our end of year forecast for the refi rate in 2020 is only 0.50%. One has to bear in mind that with markets starting to anticipate a slowdown in the US, pushing down the dollar, the scope for monetary tightening in the Eurozone will indeed be very limited.